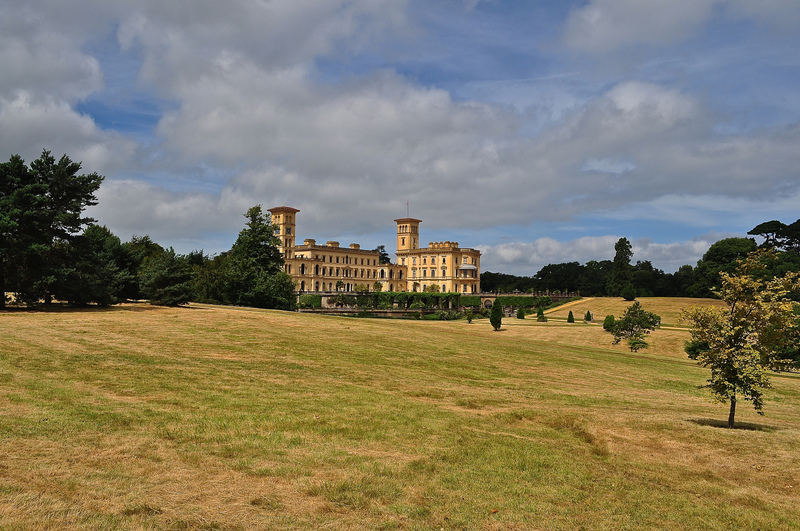 I have long wanted to visit Osborne House, Queen Victoria and Prince Albert’s Tuscan styled holiday home on the Isle of Wight so it was with great pleasure that I finally fulfilled this ambition. 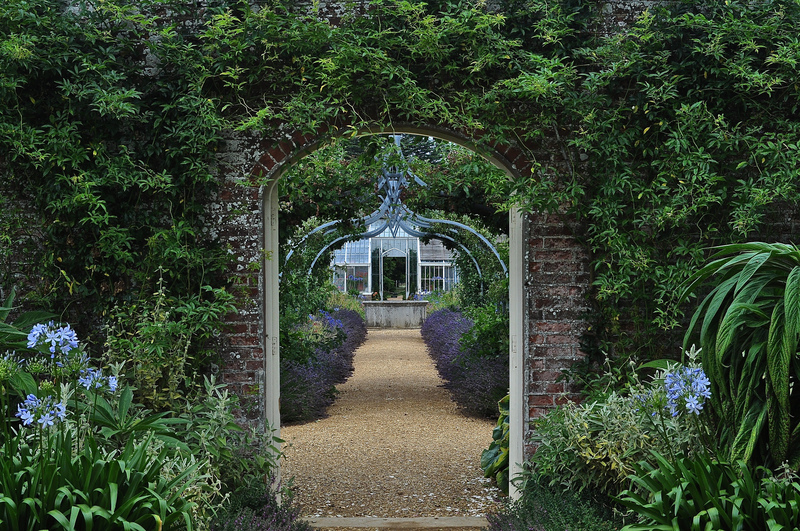 The House itself is in a beautiful position, with views across landscaped gardens down to a distant sea. The shame of it is that Osborne was only a family home for 50 or so years and although that means, of course, that we have the pleasure of seeing around it today, it does seem a great shame that it doesn’t have a more formal standing still – if not as a Royal residence, then as a governmental public building. The Italian style home was built by the Dorking builder, Thomas Cubitt (who built the facade of Buckingham Palace and a good part of Mayfair, London too – more of Mr Cubitt in a future post) with design input from Prince Albert. 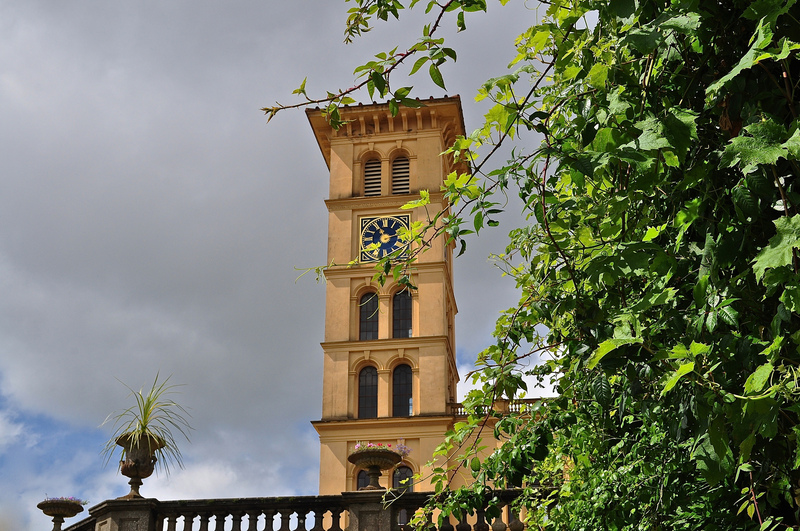 The architecture was so popular it was imitated hugely across the British Empire and was known as “the Osborne style”. The amazing Durbar Room (sorry – couldn’t take pictures inside) was built after Albert’s death in the 1890s and is perhaps the House’s most extraordinary room – an intricately carved Indian interior filled with Indian artefacts – when you enter the room, you are just stuck looking at the ceiling in awe – it’s quite difficult to take it all in quickly. Queen Victoria died in 1901 and her children didn’t want to keep it as a Royal residence hence it passed into state hands and was opened to the public in 1904. English Heritage now maintain what is left of the estate (it’s substantially smaller in acreage than it was in Victorian times) and have been gradually opening up more and more of the House for visitors’ enjoyment. Do take a carriage ride with the beautiful Shire horses – it’s just a gentle scoot around the grounds but if you are a photographer, it does show you the best position to take a shot of the House. 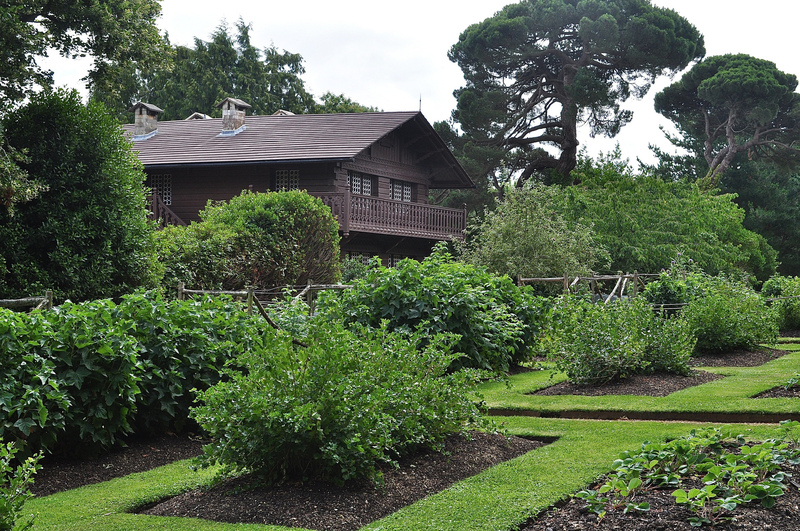 Other “must-sees’ include the gardens, the world’s longest herbaceous border (yes, really), the Swiss Cottage with the children’s gardens and their toy fort and the Queen’s Beach and Victorian Bathing Machine. 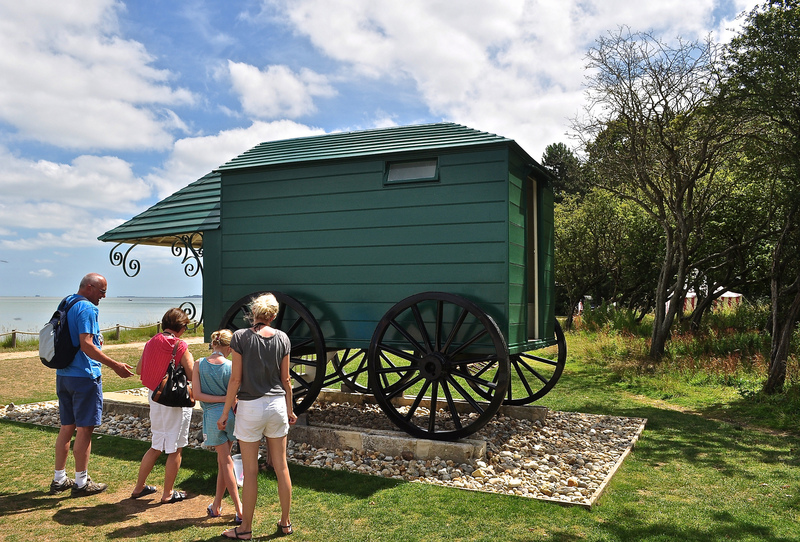 Everyone who came down to the beach was intrigued by the bathing machine which were de rigueur in the 18th and 19th centuries to protect modesty when bathing. Queen Victoria’s bathing machine has been restored and (between us) is rumoured to have indoor plumbing if you catch my drift, too. 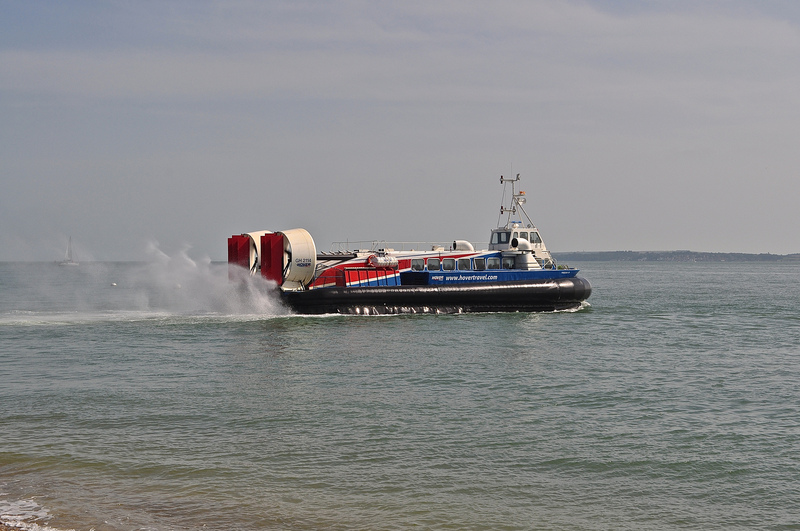 We travelled out from Southsea Beach via Hovercraft – actually HoverTravel (just GBP17.50 return) for the ten minute trip to Ryde and took a bus direct to Osborne House from the terminal – simple and good value as well as enormous fun on the Hovercraft! 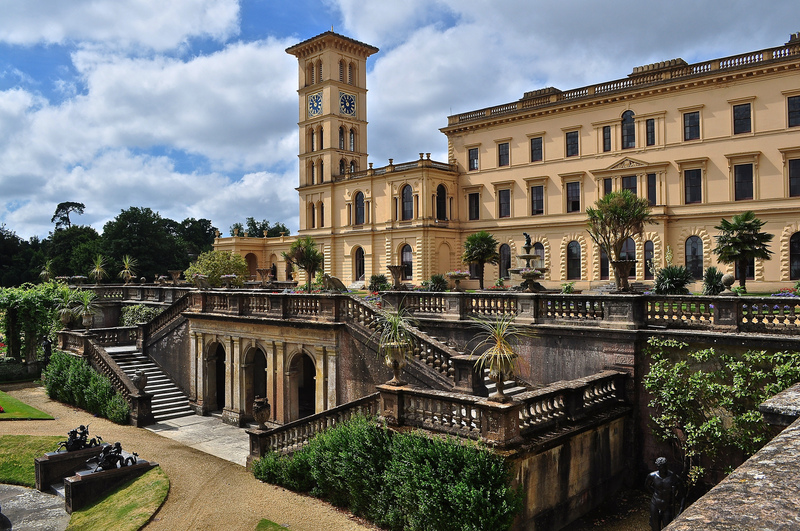 Entrance to Osborne House is free to English Heritage members. For adult non-members, entrance is GBP13.90 and for children aged 5 – 15 years, GBP8.30. A family ticket is available at GBP36.10. 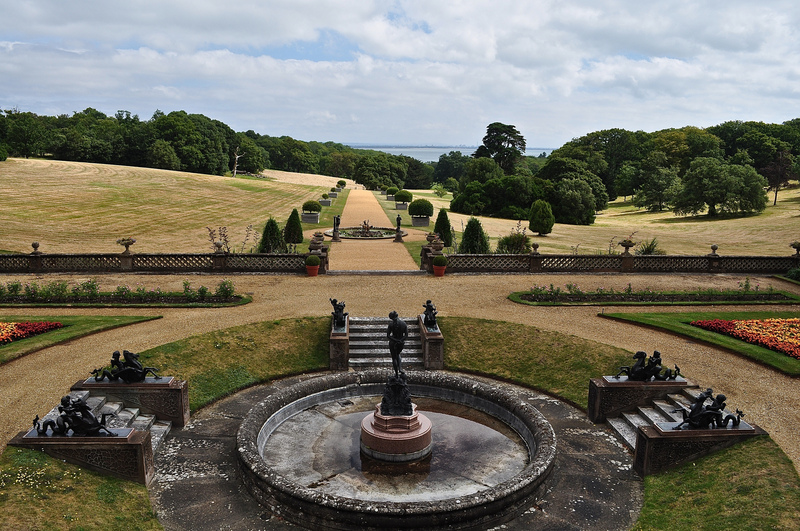 Osborne House, York Avenue, East Cowes, Isle of Wight – PO32 6JX. 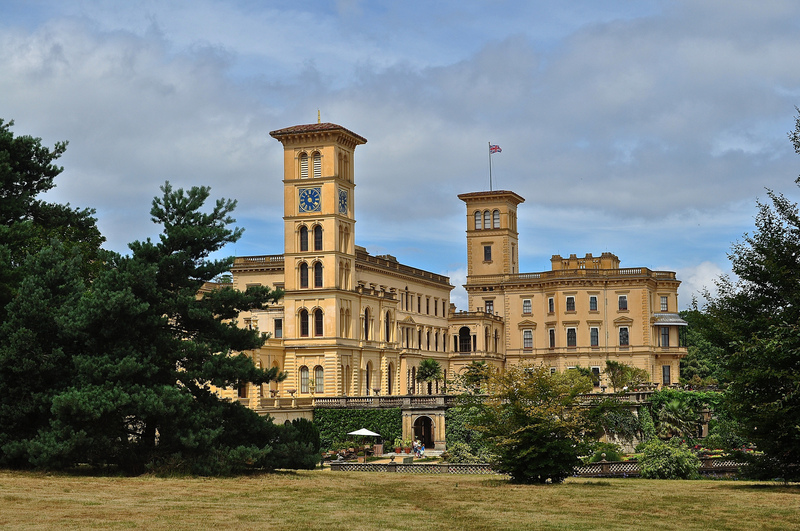 Follow them on twitter: @EHOsborneHouse and on Facebook/Osborne House. 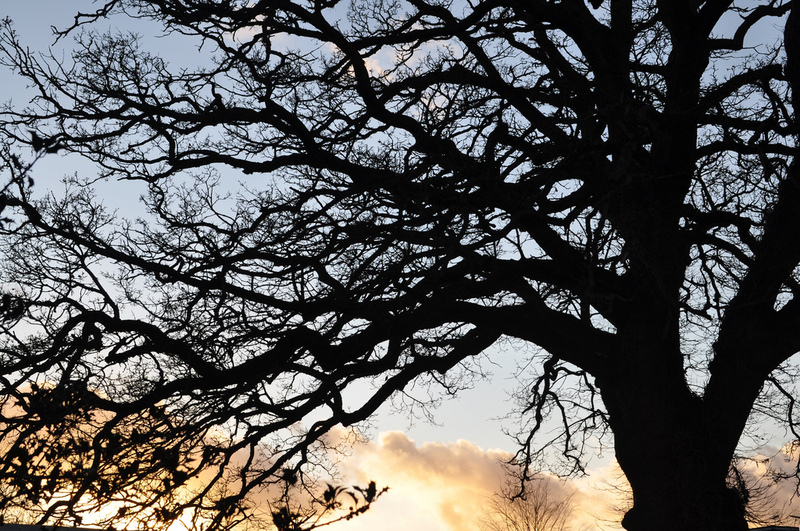 Isle of Wight Tourism is also on twitter @IWTourism and on Facebook/Visit Isle of Wight.